The Japanese have a lot to answer for. 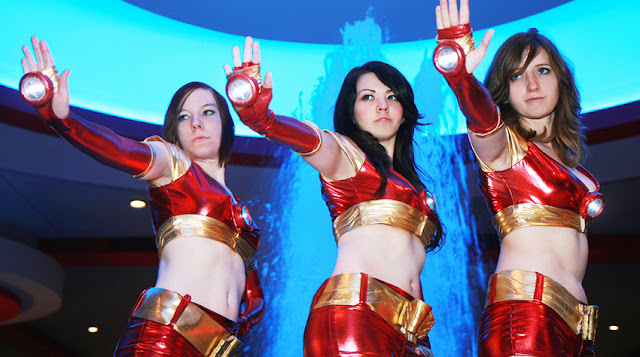 But we'll let everything slide because the Japan 2011 Comic Con has given us this wonderful dance demonstration by the Iron Man 's Ironettes. Basically it's an excuse for a whole lot of exy women to run around in red bikinis exalting the big Iron fella's glories. We'll take your sexism Japan, thanks.